The World Heritage Committee will consider the requests made by governments for inscription of 13 new natural sites on UNESCO's World Heritage List when it meets here Wednesday for its annual session. During this year's meeting, hosted by Canada to coincide with the 400th anniversary of the founding of Quebec City, the committee will consider Canada's Joggins Fossil Cliffs among the 13 natural and 34 cultural sites proposed for listing in countries around the world. 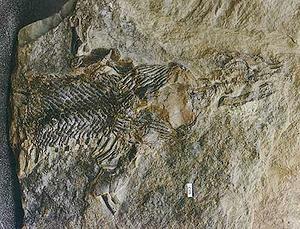 The fossil cliffs of Joggins are located near the head of the Bay of Fundy in the province of Nova Scotia. This area is subjected to some of the world's highest tides, over 15 meters (49 feet). The tidal action causes steady erosion of the 23 meter (75 foot) high cliffs, constantly revealing new fossils. Also under consideration is the Monarch Butterfly Biosphere Reserve in Mexico where millions of butterflies migrate for the winter from Canada and the United States. Illegal loggers have taken their toll of the forests where the monarchs winter. The committee will also review the state of conservation of the 30 World Heritage sites inscribed on the List of World Heritage in Danger and may decide to add new sites to that list of properties whose preservation requires special attention. IUCN, the International Union for Conservation of Nature, advises the Committee on which natural and mixed sites should be added to the List. Together with UNESCO, IUCN also reports on the state of conservation of some 60 sites under threat, a number of which received joint monitoring missions during the past year. Existing World Heritage sites that are facing serious threats include Machu Picchu in Peru, the Galapagos Islands in Ecuador, and Virunga National Park in the Democratic Republic of Congo. Machu Picchu, which lies at the end of the Inca Trail in the Andes, is threatened by high visitor numbers, a lack of control over their entry to Machu Picchu, and uncontrolled growth of the nearby town, Aguas Calientes. There has been no public information about the very real threats of landslide, fire, building collapse and health risks associated with overnight stays in Aguas Calientes. IUCN recommends this site is added to the list of World Heritage sites in danger. Placed on the list of World Heritage sites in danger last year, the Galapagos Islands continue to face threats from the large numbers of tourists that visit each year, illegal fishing and high and unregulated immigration. They are also under threat from introduced species, including goats, pigs, cows and hundreds of species of plants. IUCN recommends the Galapagos Islands stay on the danger list. Virunga National Park has been on the list of World Heritage sites in danger since 1994. It faces threats from refugees, who set up home in the park, armed militia, and continued poaching and deforestation, particularly for fuel and illegal charcoal production. A joint monitoring mission by IUCN and UNESCO was organized. Other existing World Heritage sites that will be reported on include the Western Caucasus, as one of the few large mountain areas of Europe that has not experienced significant human impact, but developments for the Sochi 2014 Winter Olympic Games pose a major potential threat to the site. A joint IUCN and UNESCO mission found that the Sliding Centre for the luge and bobsleigh events, the mountain Olympic village, and related infrastructure, as currently proposed, would affect some areas within the property, the boundary of the property, and winter wildlife feeding grounds and migration corridors of wildlife from the property. Roads and illegal logging also pose threats. 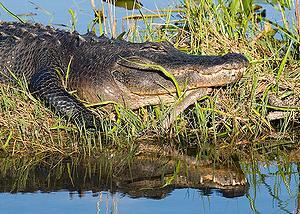 Everglades National Park was removed from the list of World Heritage sites in danger last year, against IUCN's advice. It had been on the danger list since 1993 and in IUCN's opinion it still faces threats. Urban encroachment, agricultural fertilizer, mercury contamination of fish and wildlife and lower water levels due to flood controls threaten the Everglades.